Roadworks are due to finish in late August. ROADWORKS to connect Pectoral Promenade to Marmion Avenue will not involve road closures, an Alkimos developer says. Lendlease communities general manager Anthony Rowbottam said current works would be completed by late August, with the left-in, left-out lanes from Pectoral to open by September. “The work will include new landscaping along Pectoral Promenade,” he said. 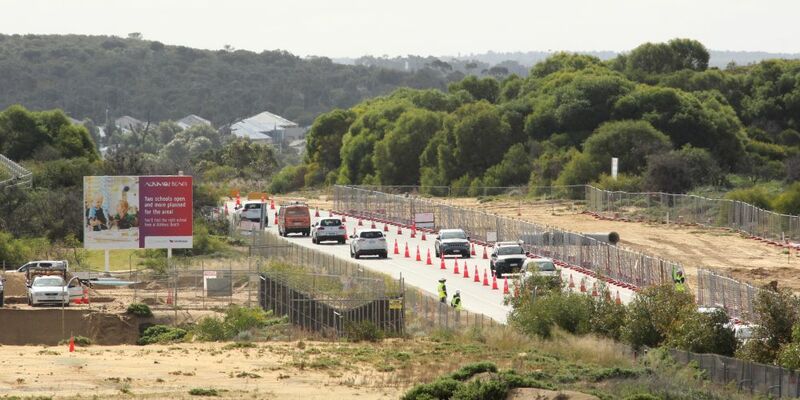 The Alkimos Beach developer fast tracked the connection this year following an online petition to ease congestion issues and create a second exit from the estate.